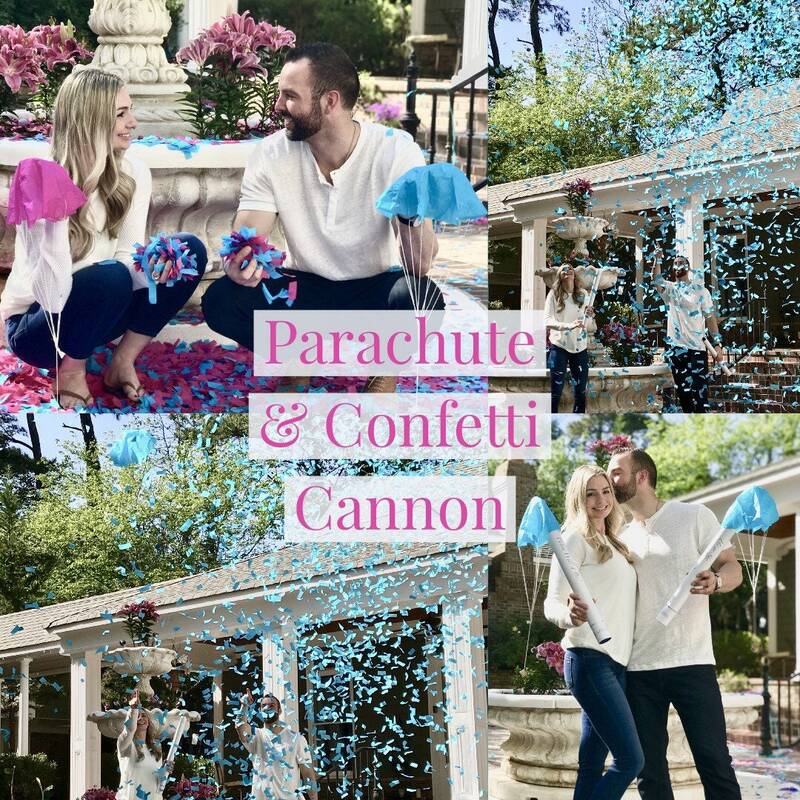 24" Confetti & Parachute Cannon Gender Reveal Confetti Cannon and Confetti Cannons! 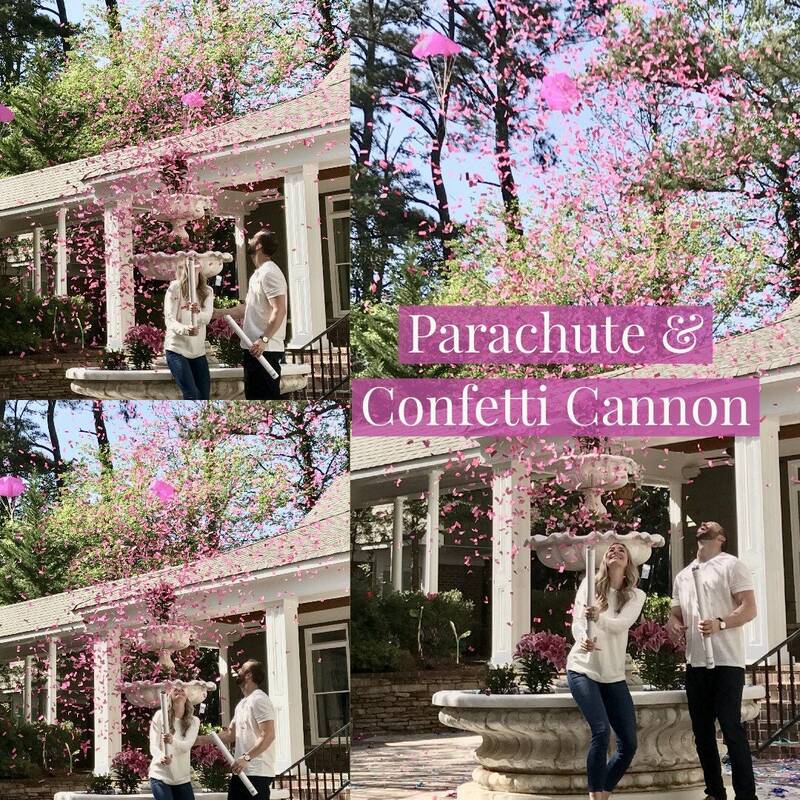 Smoke Powder Cannon! Ships Same Day! 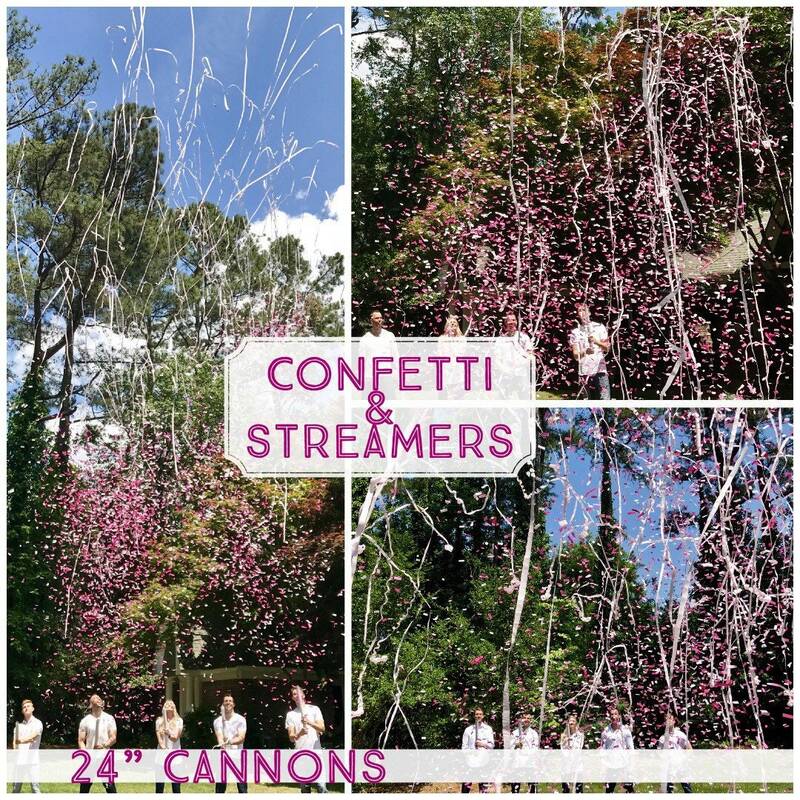 Whats better than a confetti cannon... confetti cannons with streamers! 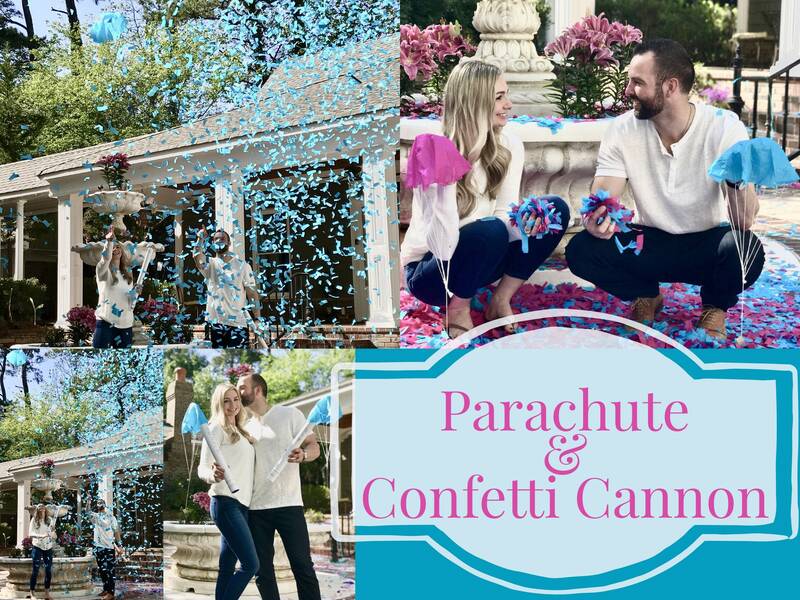 Our Goal is to fill the sky with color to create a amazing gender reveal and the addition of streamers to the confetti achieves this goal. 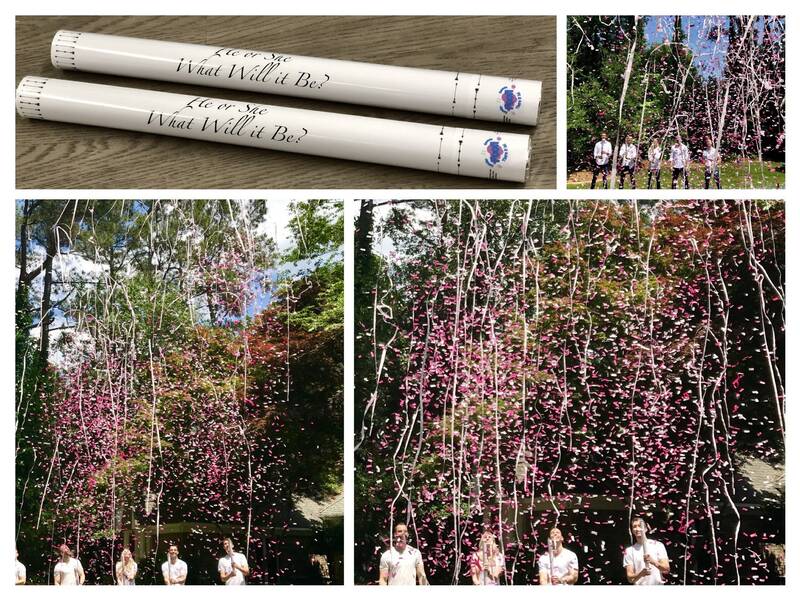 Amazing gender reveal Idea for a unique gender reveal. 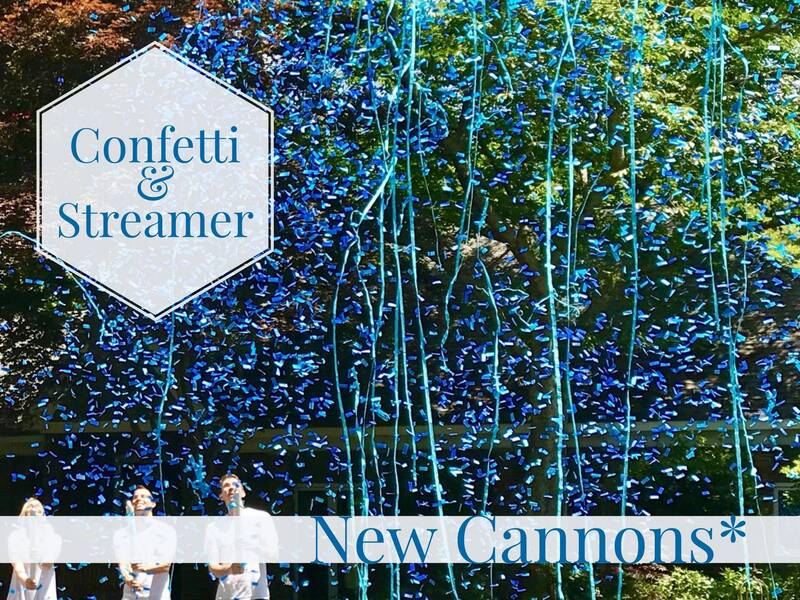 We understand the importance of keeping the gender a secret and have done so with these easily removable stickers on the cannons. 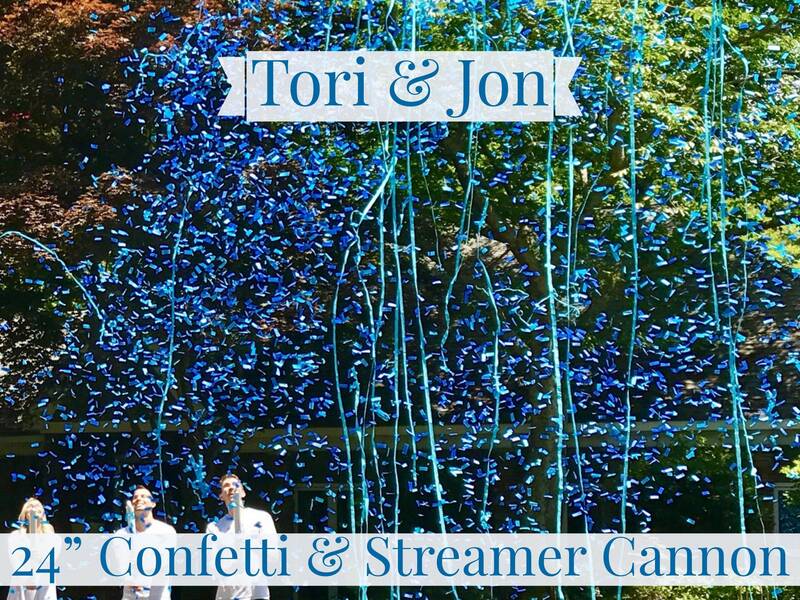 Please have your Dr, Nurse or friend email jon [!at] poofthereitis.com along with your order (receipt) number, exact name of person being shipped to, and the results! You will receive a shipped notification but don’t worry! 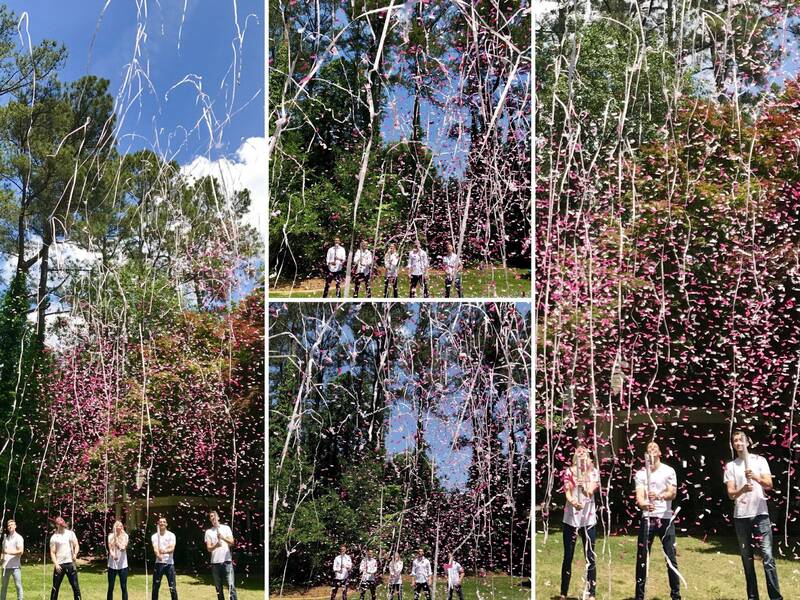 We will print your order off and hold it to the side until we receive the secret results! 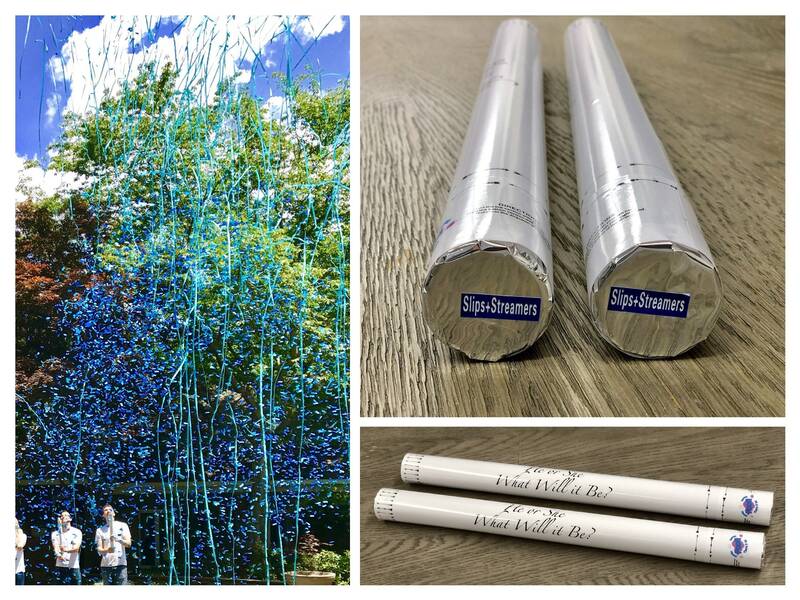 We will then package your order as soon as possible with NO color indicators and have it on its way to you! 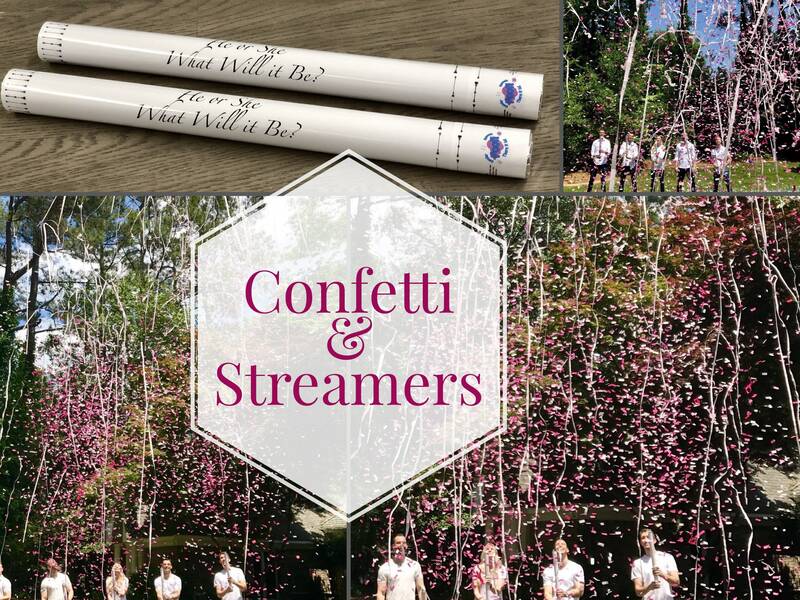 These were perfect - tons of confetti and streamers inside them!